WHAT WAS IN THE GARDEN CUP? Now is my soul troubled; and what shall I say? Father, save me from this hour: but for this cause came I unto this hour (John 12:27). 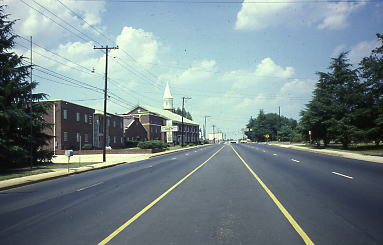 Thanks to Calvary we had the privilege of attending Tabernacle Baptist Church and Tabernacle Baptist College in Greenville, South Carolina for four years. We had the blessing of learning from Dr. Harold B. Sightler, a great teacher and one of the most renown expository preachers of his generation. My ordination in March of 1984 by Dr. Sightler and Tabernacle Baptist Church and our graduation in May gave us a good start for what lie a head in the years to come. We thank the Lord who enabled us, for He is our source of strength and help in all that we do. Thanks to Calvary we had the privilege, during our second term in Austria, of constituting the first Baptist Church in Lustenau, Austria. It was an exciting time for all of us. The Lord blessed our exhausting labors in learning the German language and answered our prayers concerning starting a Baptist church in our field of service. We especially thank all our supporting churches for their faithful prayers and support that, by the grace of God, enabled us to experience the Lord's blessings in so many ways. 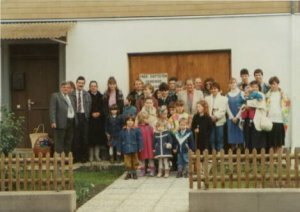 Thanks to Calvary we had the blessing of starting Baptist World Cult Evangelism in 1994. Macedonia World Baptist Missions, Inc. requested that we continue to serve with them as the director of this world wide ministry. We thank the wonderful people at Macedonia for their encouragement and support of a ministry dedicated to reaching Jehovah's Witnesses and other major cults with the true Jesus of the Bible. This photo represents one of the great victories in our ministry. 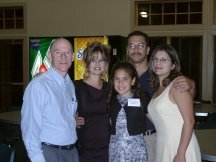 This was a third generation JW family in California that we had the joy of leading to Christ through our hotline ministry and then helping them to get established. They are now members in a good fundamental church. To God be the glory! Did Jesus have a God? Does John 17:3 teach that the Father is the only true God; therefore, denying the trinity? Does Colossians 1:15 teach that Jesus was created? If one were to talk with ten different people who are "cult experts," most likely he or she would get a different definition of what a cult is from each of them.